You are currently browsing the archive for the Humanitarian Photography category. One of my favorite Friday reads is the 10Q Interviews with Humanitarian Photographers on Heber Vega’s blog. As suggested by the title, he interviews a different humanitarian, travel, or culture photographer each week, asking them a similar series of questions and sharing several of their photos. I was fortunate to be interviewed by him a few months ago. It is a wonderful resource for any photographer who works in the field or especially one who aspires to do this type of work. You can learn a great deal from the experiences of those who have been at it for awhile. This week’s edition, with photographer Jake Lyell, is especially candid about the process of becoming and working as a humanitarian photographer. As you can see from his responses, it is a slow, hard road requiring an incredible amount of persistence. I encourage you to jump over there and have a look at these great interviews. If you happen to receive the Humane Society’s All Animals magazine, be sure to check out the section on young animal activists. Last month I was fortunate to meet and photograph an amazing and motivated young animal activist, Ayna Agarwal (and her dogs). One of my portraits of her and Muffy illustrates her profile in the Sept./Oct. 2010 edition of All Animals, and another image was used in the table of contents. You can read her story here, or read the entire article on the HSUS website here. This is part two of an ongoing series. Over the last several months I’ve collected some of the search terms that led people to read my blog. I’m presenting several of them here, along with brief but informative answers. This is part 2 of this series. 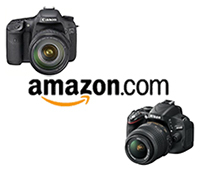 The next ones in the series include questions on the Canon 7D specifically, and then on lenses. Here was part one. Humanitarian photography can be defined as the photography of international NGOs (non-governmental organizations), humanitarian aid, and non-profit organizations. These include organizations that focus on diverse issues including from health, development, indigenous rights, and children. Photographers make images of these organizations’ work in the field, projects, staff, and clients or the populations that are served. These images can be for documentation, to tell a story, for printed and web use such as marketing, fundraising, reports, or training publications, for presentations, or many other uses. A humanitarian photographer, however, can also be a photographer who wishes to tell the story of the human condition through their photography, and this does not need to necessarily involve the work of an NGO. They can be a photojournalist, such as Ami Vitale, or a travel, world, and culture photographer who depicts the world through the people who inhabit it. That’s me! Welcome to my site. Also be sure to check out Heber Vega’s website where he has the 10Q interview series with a number of humanitarian photographers. And be sure to check out Karl Grobl, who is an inspiration to all of us humanitarian photographers. How much do humanitarian photographers make? / Salary for humanitarian photographer / How can I make a lot of money being a humanitarian photographer? While there are some humanitarian photographers who work on staff with NGOs, these types of jobs are few and far between. So there really is no such thing as a salary for humanitarian photographers. In fact, at this time, there really isn’t a salary for most types of photographer except for the few that still work on staff at newspapers or a few other places, and this number is dwindling every day. For the most part, humanitarian photographers are freelance photographers who must seek out their own assignments. What they earn depends on how hard they work at this. As with any type of vocational photographer, working as a humanitarian photographer involves something like 10% photography and 90% business and seeking out work. Sounds dreadful, right, but just read about any other photographer discussing business and you will see the same thing. How to make a lot of money as any type of photographer? I haven’t figured that one out yet. Maybe work as a dentist by day. As I said above, this doesn’t really exist except in the way you create it yourself. Really. It is 100% up to you to make it a reality. There is no one path to follow, no correct course to take (although there are countless incorrect moves one could make). It is all pretty much up to you to determine through the amount of effort and dedication you put into it. One place to start is to read David DuChemin’s Visionmongers. This is one of the few guides out there for becoming a vocational photographer, and luckily for you, he began as a humanitarian photographer himself. However, it is far from containing all the answers. He leaves much unsaid that you have to learn the hard way. You can also look at the countless writings about journalism ethics, photojournalism ethics, and media ethics. Much of those subjects will directly apply to humanitarian photography. Also, learn to tell a story through images, whether it is a single image or a photo essay. How you shoot depends on your goals as well. If you are working for an NGO, they may want photos in a certain style or which serve a certain need. If you are shooting a documentary series for yourself, you may choose your subjects, compositions, and style very differently. I get this search every day! Perhaps he has set up an automatic tracking search to see where he is mentioned each day. This post is the first in an occasional series in which I will describe the making of a photograph, from both a technical and artistic standpoint. I’ll go through the camera settings and why they were chosen, as well as the thought processes going through my head regarding composition and the creation of the image. These types of posts will be concrete examples of a previous post of mine called How Pros Photograph, which describes the various decisions that may be going through a photographer’s head as they work a scene and make photos. The Process: As I roamed the center taking photos, I spotted the kids all lined up on a curb in the courtyard, reading. The linear composition and the striking yellow wall made for a pretty obvious opportunity. I had a Canon 16-35mm f/2.8L II lens on a Canon 7D, with a protective UV filter on the lens. I first took a shot from a standing position, composing the image with the kids across the center of the frame. The focal length of the lens was at 23mm, a wide shot to capture the whole scene. That shot has a bit of a snapshot look, and didn’t take full advantage of the yellow wall, had far too much of the grey concrete patio, and created too static of a composition which did not make use of the opportunity to apply the rule of thirds for a more dynamic composition. I re-framed to move the line of kids to the bottom third of the frame, and still had the lens wide and was standing. To better fill the frame with just the kids and to create a better point of view, more on the level of the kids, I crouched down and zoomed in to 35mm. Although the 35mm focal length is a wide angle and thus prone to distortion, due to my camera to subject distance there is only a slight amount of distortion in the image. If I had moved closer to the subjects, more distortion would have been obvious. At this point I checked my settings and saw I was at ISO 400 from the previous shots in the shade, so I lowered it to ISO 200 since the late afternoon light was still pretty bright. The lowest ISO possible for the given situation will typically create a higher quality image file. For all the shots I was using Aperture Priority mode. I almost always use Av mode unless i am dealing with motion or blur that needs to be controlled (then I use Tv mode), or am using the flash in a controlled situation (and then I often use Manual, M mode). The aperture was set at f/5.0 to give me a relatively shallow depth of field, but enough so that the kids and the wall behind them were all in focus, but anything inside the doorway and window would be a bit blurry and thus less distracting. Unlike most of my images, the aperture setting wasn’t critical here, as the depth of the entire image is mostly all within a couple feet, from the kids’ toes to the wall behind them. So f/4.0 or f/8 would have given me virtually the same image. At ISO 200, the shutter speed was at 1/80 or 1/100, which was fast enough for handholding. A little faster would have been better to ensure there was no blurring if a child moved their head or hands during a shot, so leaving the camera set on ISO 400 would not have been a mistake. As you can see in the first several photos, many of the kids were aware of me taking their photo, and were posing, goofing, or self conscious. I continued to take a few shots and waited for them to begin to ignore me. I liked the composition, and the window and the doorway to anchor the sides of the frame, so I continued to take the same shot, attempting to get the best moment of poses and facial expressions. I attempted to keep the image straight, aided by the lines visible in the viewfinder of the 7D. For all of the shots, I manually selected an auto-focus point, using a point below the central focus point which would line up on or near the face of one of the central kids. This would take advantage of the nice contrast between the dark hair and the lighter face to ensure proper auto-focus. By selecting an AF point exactly where I wanted to focus, I didn’t have to worry about focusing or have to re-frame each subsequent shot. The exposure metering was set on evaluative. The bright yellow wall could have easily messed with the metering, and I’m sure another camera like my 50D would have miscalculated the exposure based on the wall, but the 7D performed nicely on this mode. I checked my histogram a couple times to make sure I wasn’t blowing out any highlights and thus needing to use exposure compensation to adjust for that. I took a series of 19 images of this same scene, over 1 minute and 12 seconds. As you can see, it didn’t take long for the kids to begin to ignore my presence. My chosen shot was from the middle of this series, IMG_3068. It stood out among all the others in the poses, positions, groupings, and facial expressions of all the kids. Throughout the time of the series, a head appeared in the window, and people moved around inside the doorway. Luckily with my chosen shot, the head was in the window, as I like this subtle, almost hidden detail. I liked the bit of green from the plant on the left, but my chosen shot unfortunately doesn’t show much of it. The Post-Process: To create the final image, I adjusted the color and contrast in Adobe Camera RAW (ACR). I had shot the image in RAW for maximum quality and processing latitude. Due to the available light of the scene and the proper exposure, it required little processing. I set the Temperature at 4600 and the Tint to 8. I adjusted Recovery to 5 to bring back some of the detail of the yellow wall which was very slightly blown out, Fill to 15 to lighten up the children’s clothes, Brightness stayed at the standard 50, I set Contrast to 20 with plans to increase it a bit more in Photoshop. Clarity 20, Vibrance 15, and Saturation 0. I like a bit of color saturation, vibrance, and contrast in my images, but I prefer not to overprocess or to make the adjustments obvious. While the yellow of these images is definitely vibrant, especially compared to the dull, neutral RAW images, it is a realistic representation of the actual color. Typically I straighten and maybe crop a bit in ACR, but miraculously this shot was very level, and also left no room for cropping. In Photoshop I used Curves to adjust the contrast somewhere between the Linear and Medium presets, and used Unsharpen Mask to sharpen. I don’t know what my exact settings were, but I had to use aggressive sharpening because the Canon 7D I used had a severe front-focusing problem. The settings were probably Amount: 175 or 200, Radius: 1.8, and Threshold: 4. The Lesson: We should always learn from our photos, so that next time we are in a similar situation, we can create an even better image. Some improvements I could have made to this image include possibly crouching or sitting even lower to be more on level with the kids faces (although this would have caused keystoning of the vertical lines), eliminating the doorway at right by either re-framing or moving slightly to the left (which would cut out a child or two on the right) or moving to my right and shooting back towards them at a slight angle, but this would have affected the straight-on view which I feel is important to this composition. I would not have minded a little more of the green plant on the left in the frame. The image demonstrates the importance of keeping the camera level and the sensor parallel to the subject to avoid unwanted distortion. The best way to keep the horizontal and verticals straight while taking the photo is to make sure the camera is not tilted up or down and that the sensor is parallel to the wall. This involves moving yourself and the camera up or down to get the framing you desire. Also, in post-processing, I could have used the lens correction menus in ACR or Photoshop to perfectly straighten all the verticals and horizontals. Finally, although the color looks good, now I would have paid more attention to adjusting the Temperture and Tint, or adjusting the white balance using Curves in Photoshop because I have experimented and learned a bit more about these settings since then. Also, now that I see IMG_3074 again, (the last one in the strip above) I like it a lot, and should probably process that one and add it to my collection of final images. So hopefully you can see from this explanation and from my previous post that photographs don’t necessarily just happen. They are created through a combination of thought processes, a series of decisions, and the application of camera settings based on these decisions and on the situation at hand. See the Related Posts section just below for links to parts 2 and 3 in this series. And learn more about how to take control of your camera and the images you create with my Full Stop e-book camera and photography guides. Today is World Humanitarian Day 2010. 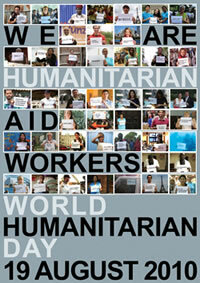 Help celebrate the efforts and accomplishments of humanitarian aid workers worldwide. I wrote a popular previous post about How to Start Out as a Humanitarian Photographer. It discusses one of the important initial steps of this endeavor: the Self-Assignment. The self-assignment – a volunteer trip to work with and photograph an NGO or non-profit – should help you determine if humanitarian or travel photography is something you really wish to pursue. And if so, it helps you to gain experience working in the field, collaborating with NGOs, and preparing for future assignments. Once you’ve completed and returned from that trip, there is much more to be done! These and other helpful photography related books can be found in my post on Essential Digital Photography Books. Don’t worry about learning every feature of the programs but concentrate on the basic color, contrast, and sharpening features, as well as layers and adjustment layers. As you gain proficiency, move into masking, retouching, advanced sharpening and black and white conversions. Develop good editing, metadata, storage, and workflow habits from the start because it becomes hard to undo bad habits later on. Begin to learn how to use actions and batch processing to more quickly process numerous images. There are a few contests (and grants) that cater to humanitarian photography, such as those run by Photoshare, Focus for Humanity, and PhotoPhilanthropy. There are countless other photography contests so search on the Internet to find some current ones. Many of your photos will likely fit well in travel photography contests or the travel category of a contest. Also be sure to look at other categories that might apply such as people or portraits. It is best to stick to the well know, reputable contests, like those run by National Geographic, Smithsonian magazine, airline magazines, travel magazines like Conde Nast Traveler, travel guidebooks like Rough Guides and Viva Travel Guides, travel websites like Peterman’s Eye, contest sites like Travel Photographer of the Year, and newspapers. Be wary of contests that charge entry fees. You can quickly spend a lot of money entering multiple photos to multiple contests in the hope of gaining notoriety. But remember that the likelihood of you winning the grand prize is small, no matter how amazing your images are, and even if you did win, it will not lead to sudden fame and an instant professional career. While some of the contests you have to pay for are well respected and legitimate, such at the International Photography Awards, and it may be worth it to enter a couple, keep in mind that the most you can expect is to be able to use this credential in your bio and descriptions. Also note that some of the prestigious contests with entry fees attract professional and commercial photographers or very highly talented amateurs, and the quality of the entries exceptional. Determine if it is worth your time and money to enter, or better to wait a few years until your skills and images improve. But also remember that, despite thousands of entrants, it is possible to win photo contests. I’ve been recognized in several contests, have won a dSLR, and had my photo selected for a travel guidebook cover. Be sure to carefully read the fine print of a contest’s rules and guidelines, especially to determine if you are signing away the rights to your photos. Contests are often tools for a company to gather a large pool of free photos to use in their books or website, and you may be surrendering lifetime, or even exclusive rights to them just by entering. You never want to surrender your copyright or give them exclusive rights and just give away your photos for free for them to use however they wish. Recent examples of this which greatly upset many photographers including well respected professionals were a National Trust contest in the UK and a Frommer’s cover contest. If you are still determined to enter and feel that the potential benefit outweighs the cost, consider entering a photo that is similar to your best photo, but not the exact same one that you may wish to use, exhibit, and sell later. Grants and Fellowships: In addition to contests, you should also consider applying for grants and fellowships. There are very few of these, but if you were to win, they would allow you to travel and pursue an in-depth project. I’m sure you’ve begun to think about personal projects and places you would like to travel to and photograph, so turn your idea into a compelling story. Most grant and fellowship applications require both a sample photo essay or story and an essay or proposal. Hopefully on your self-assignment you documented your project in a manner that tells a story of a place, organization, or person. If not, careful editing and captions might create a good photo essay. Some grants or fellowships require a project already in process, so keep this in mind as your travel and work. Writing the proposal is very time consuming and takes a lot of careful thought, so start working on yours well in advance of the deadline, and follow their requirements precisely. Website: This is pretty self-explanatory – build a website to share your work with others. There are countless sites which are designed to host photo portfolio websites, such a PhotoShelter and Fluid Galleries, or templates you can incorporate into your own website. Try to strike the best balance you can between do-it-yourself, cost, functionality, and professionalism. Domains and hosting are very cheap through places like GoDaddy, but portfolio templates and hosting can start to add up to hundreds of dollars a year. Try to keep the costs to a minimum until you start making money from your photography. Just make sure your site looks clean and professional, functions quickly and intuitively, and that your images are large and easy to navigate. Here is a list that can get you started. Exhibitions: Print and frame your photographs and exhibit them so that you can share them with a wider audience. Look for unique opportunities of places and events that might be eager to incorporate your photos, such as travel agency offices, local festivals, performances, and movie screenings that relate to the culture or country where your images are from, local stores, and restaurants (although I am wary of this last one as I would prefer to sell my images to them and am afraid of damages to the prints from exposure to constant cooking air). Read: Continue to read and learn about the humanitarian issues and the countries that most interest you. A good place to start is any of the books listed in the Humanitarian Books section of the Amazon.com site I put together. Get them from your library, or purchase them through that site and help support my work! This post also has information about books, and this post talks about other resources for learning about humanitarian issues. The next step in the process is to learn the business aspects of becoming a professional photographer. I’ll save that lesson for another time! For related posts, be sure to check out the other entries in the Humanitarian Photography category. I’d like to welcome the new readers that are finding me after reading my interview with Heber Vega in the “10Q – Interviews with Humanitarian Photographers” section of his blog. Please have a look around, including the posts in my Humanitarian Photography category. Some of them I referred to in the interview, including my post on self-assignments entitled “How to Start Out as a Humanitarian Photographer.” Other posts include information on photo equipment for working in the field, lenses for travel and humanitarian work, ethics and images, and humanitarian related books. My most popular post seems to be a comparison of the various current Canon dSLRs, but of course, we’re not all caught up with gear, right?! Here is another one of those articles, this one in the New York Times, chronicling the decline of opportunities for professional photographers. It is frustrating and discouraging to keep reading this news and these types of predictions. But there are always going to be those who are determined to follow their passion and figure out how to make their way in the changing landscape. Many people say the answer is through diversifying, working in multiple markets, developing a variety of revenue streams, and hustling non-stop. Here is a great example of a young photographer who seems to be having success at figuring this out. Yesterday was World Water Day, an annual event which calls attention to the issues surrounding, you guessed it, water! Some of these issues include water quality, access to clean water, water shortages, and water management. This year’s theme was “Clean Water for a Healthy World.” As with many global struggles, it is the poor who are most affected by issues of water contamination and access to clean water. There are several excellent displays of photos in honor of World Water Day, including The Big Picture, The Frame, and a free downloadable edition of National Geographic. Also be sure to refer back to my post about the downloadable book Blue Planet Run, which addresses global water issues through amazing photography. In 2007, legendary war photographer James Nachtwey won the TED prize in honor of his life’s work documenting conflicts and social issues around the globe. In addition to awarding him $100,000, the prize also allowed him to make a wish that the TED fellows would assist him in fulfilling. His wish was to photograph an issue that had been under-documented and under-reported in the media: tuberculosis – a preventable, treatable, and curable disease that millions worldwide continue to suffer from. He is particularly concerned about mutations of the disease, MDR-TB (multi drug resistant) and XDR-TB (extremely drug resistant) which are considerably more difficult and more expensive to treat. Last week I viewed the results of this project – an exhibit of his photos at 401 Projects gallery in New York City (open until March 25, 2010). The large black and white prints tell a powerful and dramatic story, and it was incredible to see how Nachtwey uses every photographic tool at his disposal to make such compelling images. The photos can be viewed on the XDRTB.org website, which also contains more information about the issue and the ongoing campaign against the disease. After you look through the photos and just try to digest the story, I encourage you to go back and study why they are so powerful beyond simply the subject matter. They are often photos of patients in bed or in treatment, but he has made them so much more. -uses composition, point of view, and light and shadow to strengthen and accentuate the essential subject. -draws your attention to the subject he wishes to focus on, yet provides layers of information in the image that encourage further viewing and closer inspection. -makes use of the element of time and captures a very specific moment, gesture, or emotion. -uses basic compositional techniques of balance, scale, and line to create cohesive images. I could go on, but as you can see, this is a wonderful opportunity to study how Nachtwey is using the most basic elements of photographic composition and design – ones that we have all learned about in photography books and classes and which we all have at our disposal to make our images stronger and more successful. On the flip side, I ran across this blog post which challenges his use of traditional photo-journalistic conventions and visual language. It is interesting to read and consider as well as you look at the photos. There are many grim, depressing, disturbing, and disheartening photos of the aftermath of the earthquake in Haiti, such as this series on The Big Picture. But today I came across a series of photos that show a different side of the conditions in Haiti. Photographer Alice Smeets had taken revealing photos of the lives of people and children in Haiti before the earthquake (see the “Documentary” section), and she recently returned to document the aftermath in this series of amazing photos. Although it is a relatively long slideshow, I encourage you to look at the entire series. The “life goes on” section in the middle is particularly wonderful. From a photographic standpoint, I was often struck by her amazing use of light – using the low, warm sun of morning or late afternoon, and often shooting into the sun to accentuate it. Documentary photographer Robert Coles wrote “Who we are, to some variable extent, determines what we notice and…what we regard as worthy of notice, what we find significant.” It is obvious from Smeets’ series of Haiti photos that what she regards as worthy of notice differs greatly from many of the photographers working in Haiti and/ or their photo editors at home. She communicates a much more human and hopeful perspective of the situation. All the photos from Haiti show a view of the reality there, but which one is more worth focusing on? I’ve recently discovered the excellent book Blue Planet Run, which I came across after seeing photographer Rick Smolan’s TED lecture. He’s the guy behind the “Day in the Life” series of photo books that were so ubiquitous awhile ago. Anyway, Blue Planet Run is a book he created, full of amazing photos, statistics, and essays about the worldwide water crisis. It was originally offered as a free e-book, and after a little hunting around, I found a pdf copy of it to download on RapidShare. It seems to be virus free and is definitely worth having a look at, either in hard copy or e-version.